I ate dairy for years after I knew it was affecting my health. Giving up ice cream, cheese and buttery biscuits was just too overwhelming. All it took were some awesome recipes to show me that dairy-free didn’t have to be a death sentence. Before I knew it, I was making creamy salad dressing with cashews, homemade cheese with nutritional yeast and the buttery biscuits with coconut oil. 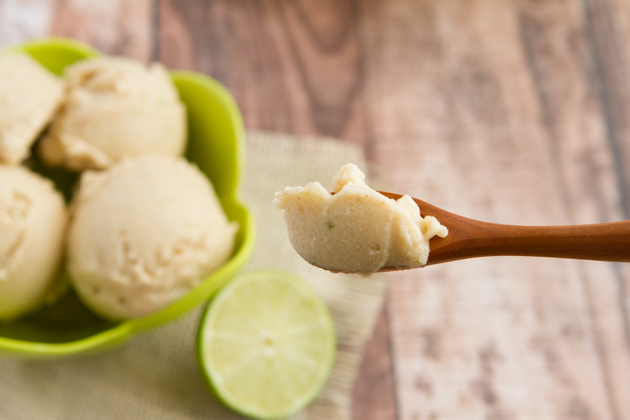 My dear friend Kelly (from Spunky Coconut) is transforming the way we all look at the dairy-free lifestyle with her newest cookbook, Dairy-free Ice Cream. 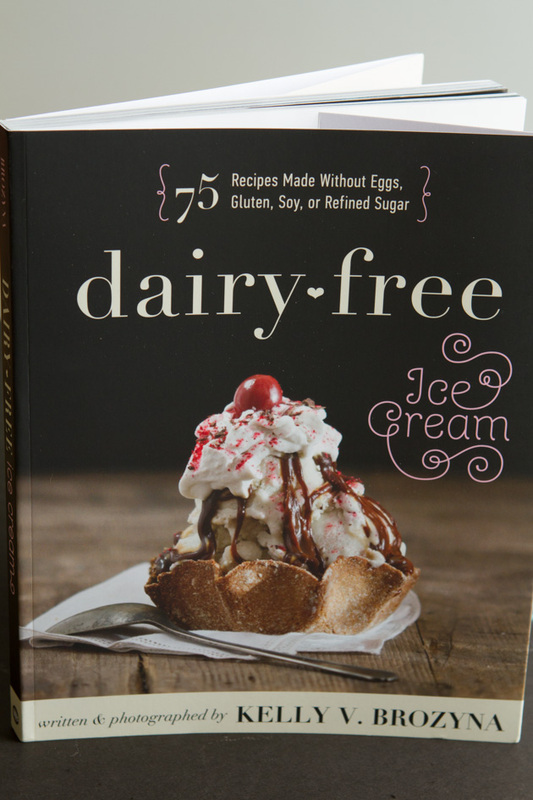 Kelly’s new book, Dairy-Free Ice Cream Cookbook has 75 recipes that are free from refined sugars, harmful oils, soy, preservatives, and other common ingredients found in store-bought dairy-free ice cream. No gluten, grains or sugars. 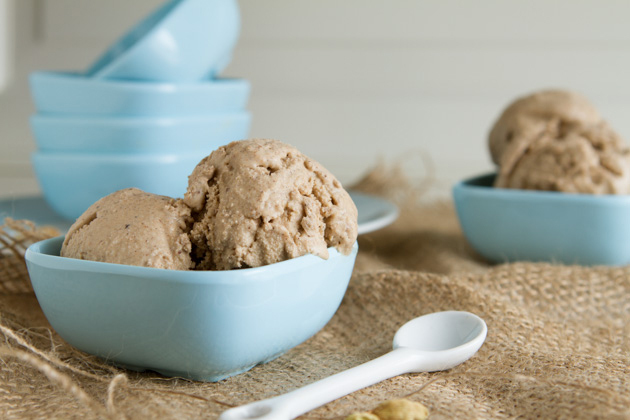 The dairy-free ice cream recipes in Dairy-Free Ice Cream Cookbook are made with homemade coconut milk, almond milk, cashew milk and hemp milk – your choice. All 75 recipes are sweetened with medjool dates, coconut sugar or stevia and made creamy with guar gum (vegan) or unflavoured gelatin. 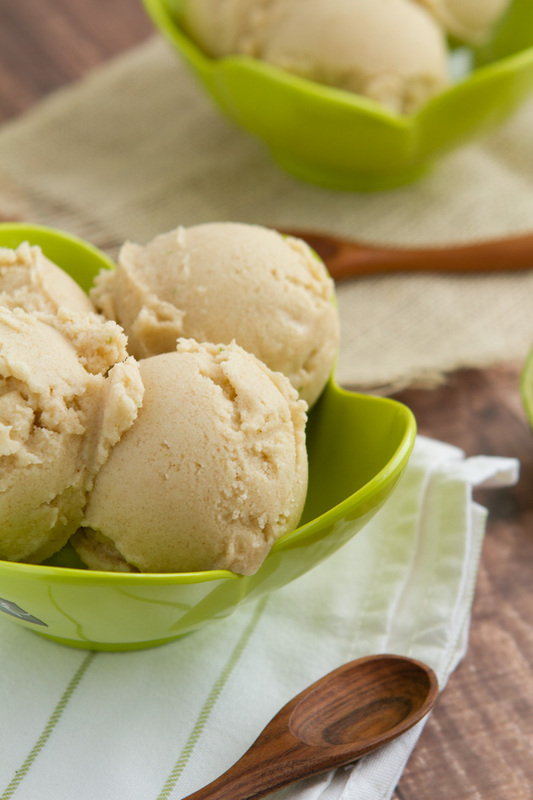 The flavors that caught my eye:: fried banana ice cream, salted caramel chocolate chunk ice cream, matcha ice cream, rooibos ice cream, chai ice cream (similar to the dairy-free chai ice cream recipe I made from Kelly’s last ice cream book), carrot cake ice cream and cookie bowls. 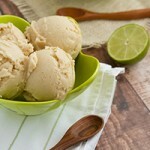 Each recipe is paired with a beautiful photo making it really challenging to decide which recipe to make first. I’m in LOVE with this cookbook. The recipes are fun, simple, tasty and so, very healthy. Most don’t use sugar – just fruits and healthy fats. That’s breakfast, if you ask me. 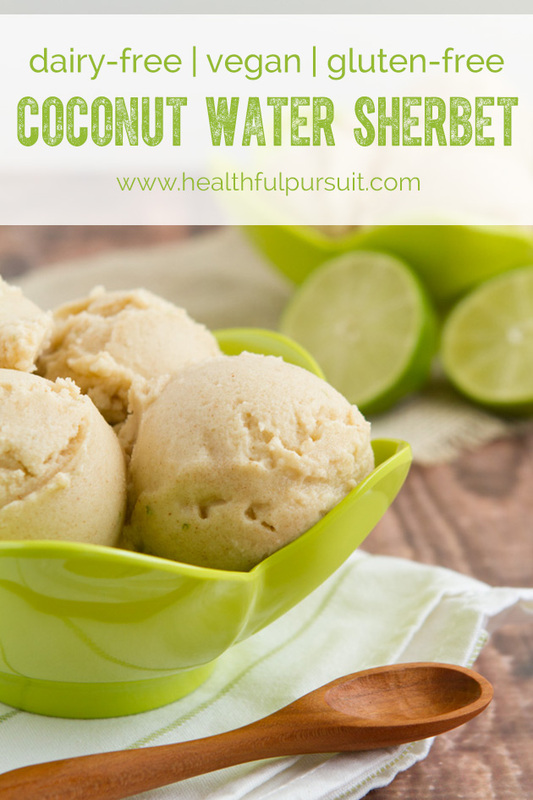 Knowing how much all of you love your coconut water, I couldn’t resist but make this the first recipe I tried from Dairy-free Ice Cream Cookbook. 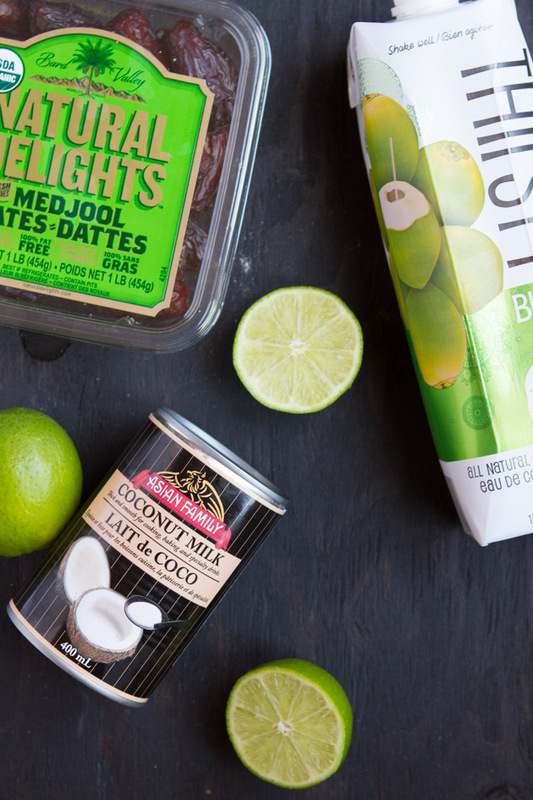 It’s sherbet… made with coconut water! 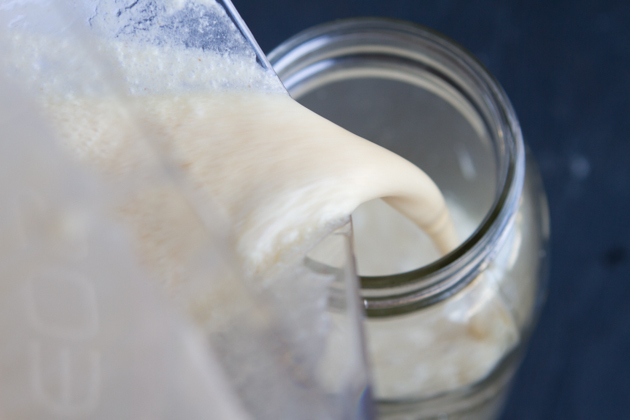 Do you think you may be dairy-free but have avoided it (like I did) out of fear? What was the hardest experience you faced when you went dairy-free? Has it gotten better over time?